It's easy this time of year to place yourself on hold while you shop for others and get into the spirit of giving. Many people save up all year long and finish their shopping early while others decide to do a last minute dash and fight the crowd. Whatever your style to celebrate the festivities, it's also important to "take care of you". If you have unscheduled treatment, we like to remind you to not put it off until its too late; we hate to see problems arise from delaying necessary treatment and in addition - most all benefit plans through insurance and certain (FSA) flexible spending accounts do not roll over and you will lose them! In order to maximize your savings while taking care of needed treatment, we like to remind our patients this time of year to double check your remaining benefits! Don't forget to also take advantage of the 10% year-end courtesy*, which Dr. Kondas extends to celebrate the season! We see more dental emergencies arise during the Holiday season than any other, due to the fact of consuming more candy and nuts, and eating more foods outside of the normal routine when it comes to sticky, tacky and sugary substances. There are also the "get together activities" which may include ice-skating, and a lively game of football out on the front lawn. We've put together a list of the most common dental emergencies and what to do should they occur! We wish you a wonderful and very Happy Thanksgiving! We hope you are starting to enjoy the colors and cooler weather of fall! Keeping in mind that the end of the year is approaching, we are writing to share a tip that can help you take full advantage of any dental insurance benefits you may have! The way your dental insurance benefits work is that you are provided a certain dollar amount of benefits each year. What many patients don’t realize is that when January 1st, 2019 comes around, you will lose any unused dollars in your dental benefits plan. (Unclaimed dollars DO NOT roll over into 2019). A lot of patients don’t think about this and they let hundreds, or thousands, of dollars fall silently into the insurance company’s bank account. This also includes certain (FSA) flexible spending accounts! Dr. Kondas, Dr. Wells, and our practice as a whole never use insurance benefits to influence any recommendations for dental treatment. Just as we never allow insurance to dictate the type of treatment you need and deserve! However, we work with you to maximize all of your hard-earned benefits, and not delay any issues that could lead to bigger problems. See the below examples; one of these is the better way to take advantage of your dental insurance benefits. ​Example: There are two months left in 2018 to use the benefits before they reset in 2019. You still have needed dental work that can be split into separate appointments. The total cost of your dentistry is about $1800. Situation A: You have a portion of the dental treatment completed for $600 before December 31st. Insurance pays you $500. On January 1st, your plan “resets” and you have $1000 in benefits available. You have the next portion of treatment completed for about $1,200. Insurance pays you $1,000. Situation B: You don’t get around to getting your dentistry completed until February 2019. Sadly, on December 31st, 2018 you lost $500 in insurance benefits. After your dentistry is completed in February, you submit a claim and the insurance company pays you. $1,000. ​At Kondas Dental Group, we want every single one of our patients to have great dental health and to enjoy every day. That means that you look good, you feel good, you have strong teeth and gums, and you enjoy the benefits of a healthy, attractive smile for a lifetime. 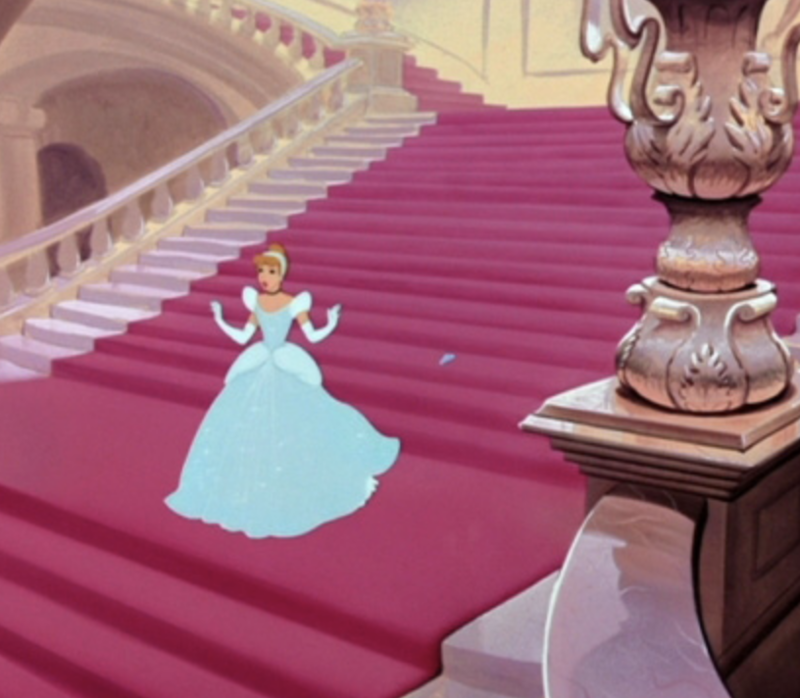 Just remember Cinderella, that when the clock strikes midnight on December 31st, you will lose any unused dental benefits. We are happy to help you get the full benefits that you are entitled to under your dental benefits policy. With the Winter Olympics beginning in PyeongChang this past weekend, it has us looking forward to cheering on our US athletes and tune in to some of our favorite seasonal sports. When watching these amazing women and men compete, we as viewers sometimes forget just how much strength, endurance and effort they have put into their training leading up to the competition; because they make gliding on ice, vaulting downhill at top speeds and soaring through the air with perfect balance look easy. Which makes us think about the word ‘balance’, and how much it really impacts everything, including the day-to-day life that we know, such as having a balanced bite. Just as four men or women quickly and rhythmically pile into a streamlined fiberglass sled and steer their way through twists and turns while remaining in a balanced position for roughly 4,000 ft.; your teeth are designed to come together in a certain way, which equally distributes pressure when biting down and chewing. Your teeth are various shapes and sizes for a reason, and designed to slide and function together in a specific pattern, just like the practiced art of an Olympic Bobsled team! After years of working hard to get the routine down, these teams have mastered their art into a fine science, which then becomes a natural reflex or muscle memory. Your mouth and jaw also have muscle memory and are made to perform motions in a certain way with balanced precision. If you are missing a tooth or multiple teeth for many years, eventually your mouth will become trained to perform in an unbalanced rhythm, which will lead to problems in the future. A bite becomes unbalanced for many reasons, it can occur naturally from a non-treated orthodontic condition, it can develop due to excessive dental work, trauma to the jaw, destructive oral habits, loss of teeth, and clenching or grinding. Losing one tooth without replacing it, can lead to very destructive unbalanced forces with negative results that can affect the whole mouth. An unbalanced bite can happen for many reasons, but it can lead to serious conditions such as enamel breakdown, gum recession, root exposure, and TMJ if left untreated! Early detection is key in reversing a bite out of balance, so if you feel you are experiencing any of the signs and symptoms listed it is important to get examined! Whatever you decide, we wish you harmony and balance! The month of October brings many welcome and fun-filled fall activities and events. The bold change of color, the smells, the cool refreshing air, and of course Halloween in all of its candy glory. With the fall month comes fright fests, haunted trails, and spooky tales to send chills down your spine! The most frightening tale for us is how a cavity is born, and right around this time of year is when the first “hauntings” begin! Did you know a cavity in the tooth is actually a bacterial infection, caused by microscopic bacteria? The bacteria find an access point within the enamel of the tooth and begin to eat away at the surface, slowly working their way inside the tooth. Sugary, sticky foods and drinks are the fuel for the bacteria to multiply and secrete their acids and toxins, which weaken the enamel. Enamel is one of the hardest structures in our bodies, so the cavity grows at a slow and confined pace - the more sugary the diet, the faster the rate of the decay. Eventually, the bacterial infection breaks through the enamel and into the second layer of tooth called Dentin. It’s a much softer tooth structure, which allows the infection to begin to spread within the tooth at a much faster pace. Eventually the infection spreads into the main nerve of the tooth and ends up resulting in a root canal. Oh the horror!!! With all the candy, trick or treat fun, and candy dishes at “Grandma’s” house, we remind you to be mindful while snacking and try to brush away those sugar “bugs” as soon as you can! If you can, try reaching for an apple instead or other fruit to fight the cravings…but if you must have some candy, practice moderation! Thoughts from 9.30.17 | Sunshine on our Minds! Though we are just beginning to feel the fall effects, it's never a bad idea to load up on Vitamin D! (That's always Dr. Kondas' reminder to our team when we are heading into the winter months)! When the days get shorter and the weather cooler, multiple studies have proven the lack of sunlight in the mornings and evenings makes your body produce extra melatonin, or the sleep hormone. Try switching up your exercise routine, or try and make an effort to get some "outside" time in before you call it a night. Also, by sticking to healthier eating habits and reducing your intake of sugar and caffeine it will help your body to more restful and get a good night's sleep (added bonus: hello happy teeth and gums)! This month has had its share of big moments, whether it's back to school, or starting school for the first time; the once in a lifetime total eclipse (how neat was that?) and our beloved football season starting up again. (GO BUCKS!) With all of these activities going on and the summer freedoms coming to an end, we just wanted to take a moment and remind you to look up so you don't miss out! It's easy to get caught up in the "thick of it", but studies show that people who make time for hobbies or activities are more happy and productive than people who don't. With that same study, research has found that the brain works much better when a person is feeling positive. Whether its taking 30 minutes for a walk, meditating and reflecting on what you are grateful for, or a sporting activity after work, we hope you are able to find that balance. This season, we challenge you to look up, and be in the "now" just as we hope 'Barrett' will look up and find those receivers for the winning touchdowns.